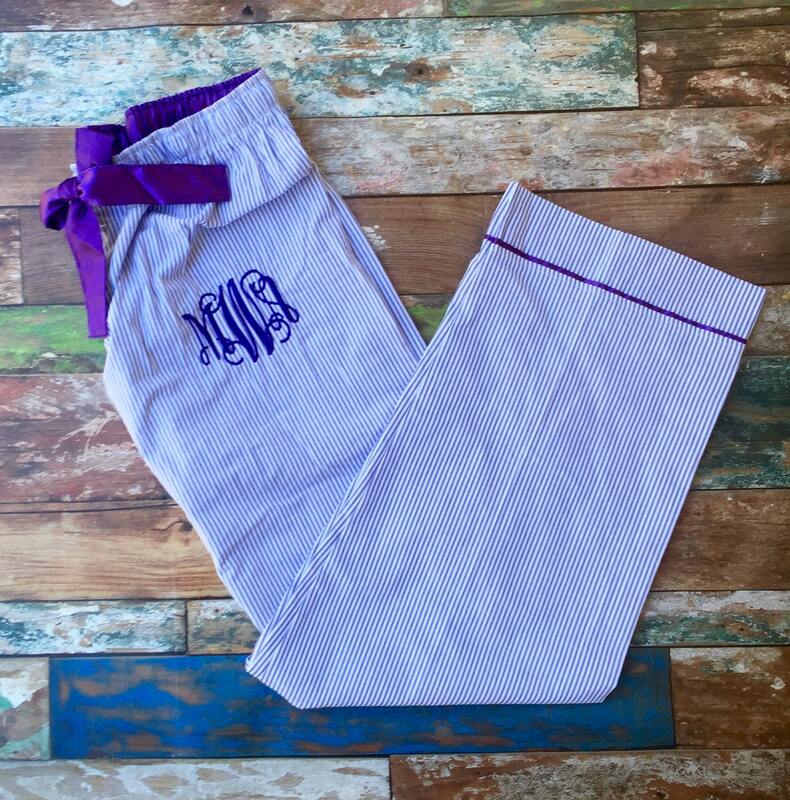 Our Monogrammed Seersucker pajama pants are a perfect bridesmaid gift! 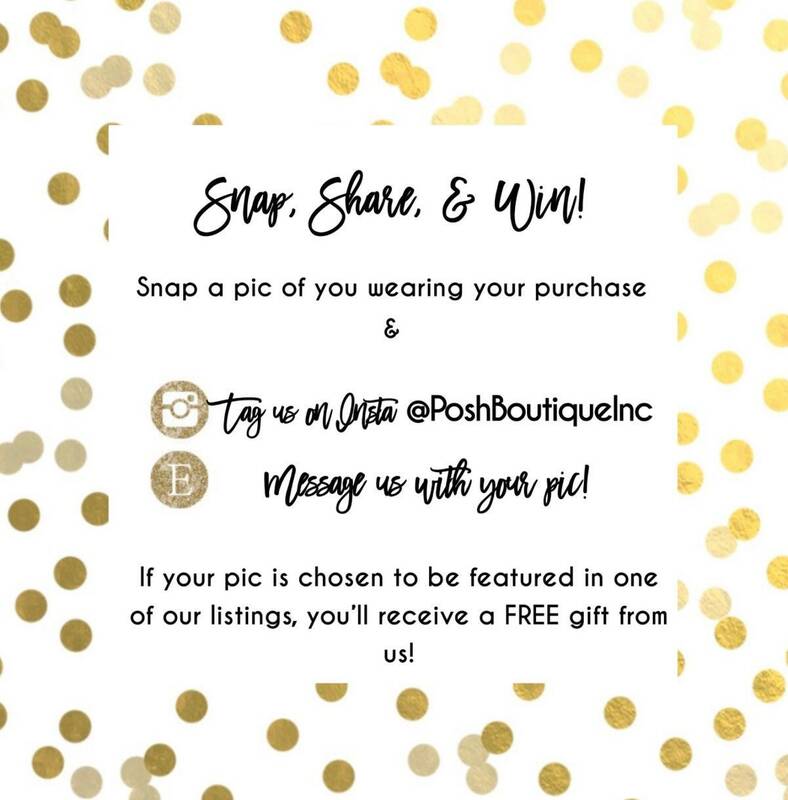 We also offer group discounts for all orders of 4 or more, please message us for your coupon code! 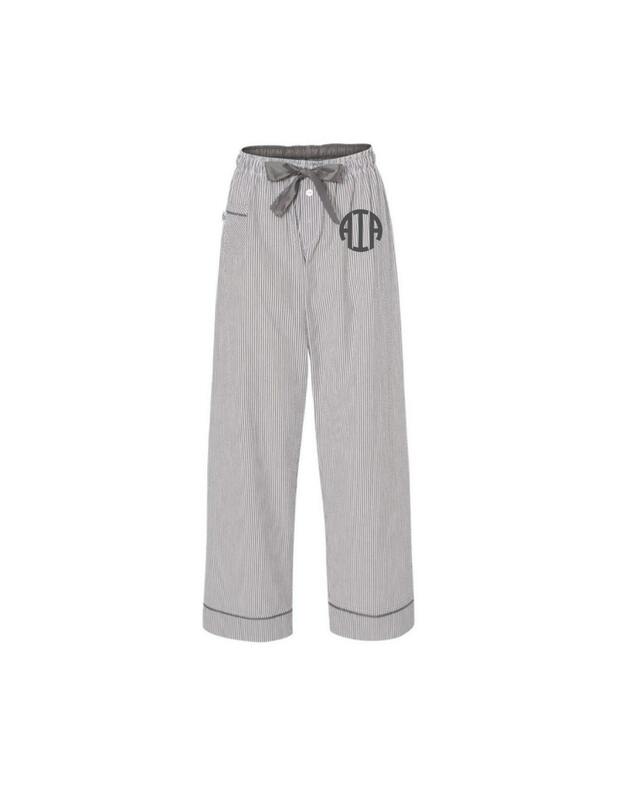 Wear them while getting ready on the big day, and pair with one of our monogrammed tops for a matching set! 1. Your monogram - first, middle, LAST - Then the order of the actual letters as you'd like for them to appear in your monogram with the LAST name in CAPS. 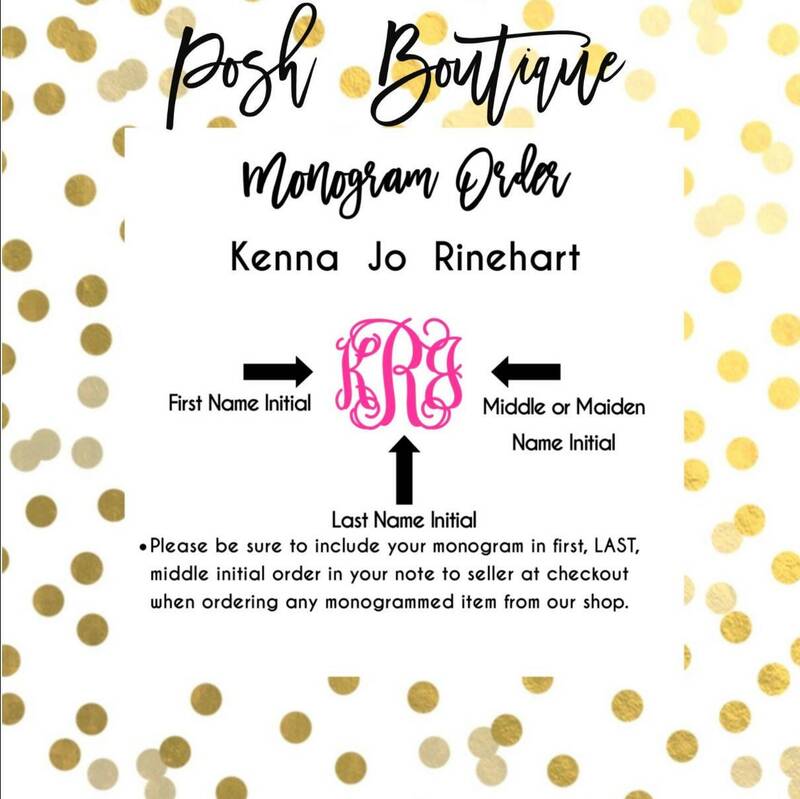 Example: donna elaine RINEHART - dRe - Please indicate which is the LAST name by typing in ALL CAPS, so there is no confusion as to which name will be the center letter in the monogram. 2. 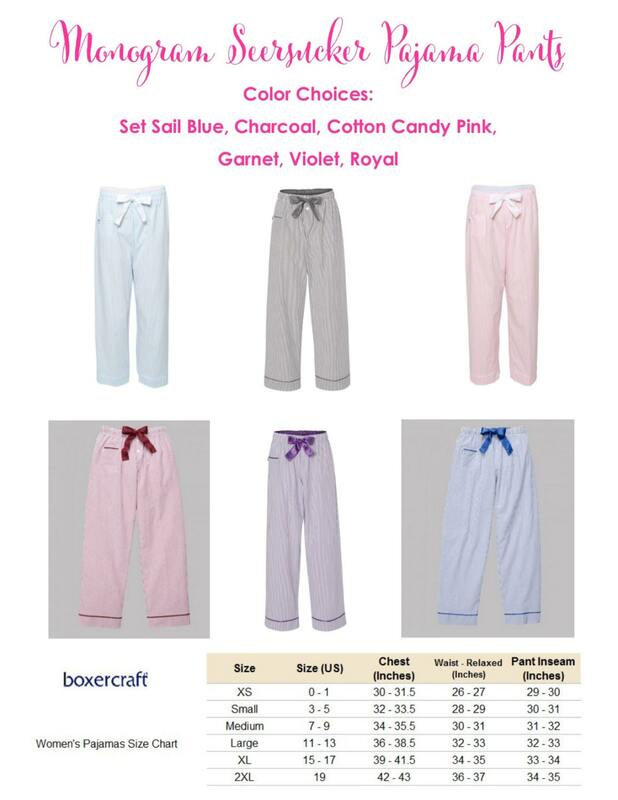 Thread Color Choice - See thread color chart for your perfect color choice! 3. 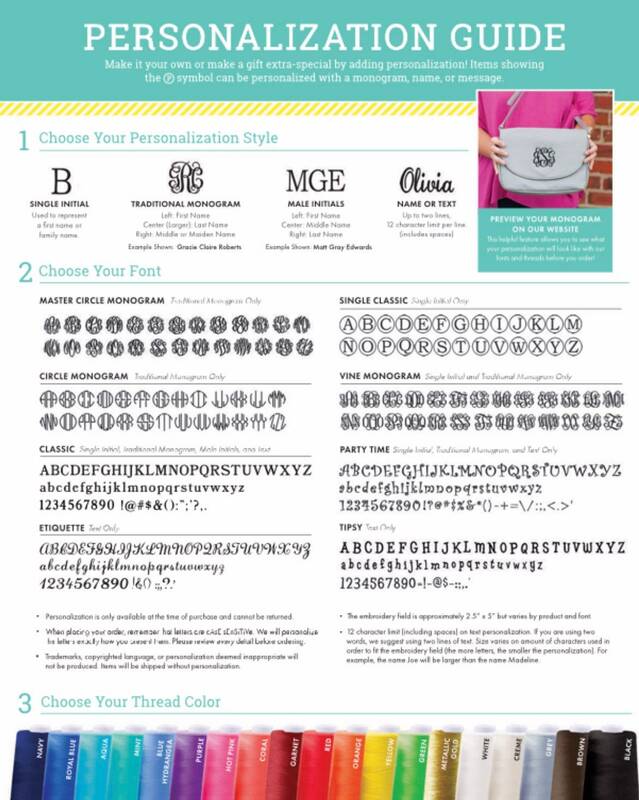 Monogram Font Choice - Please refer to photo #5 for fonts available for embroidery. Please allow 2-3 weeks to ship. 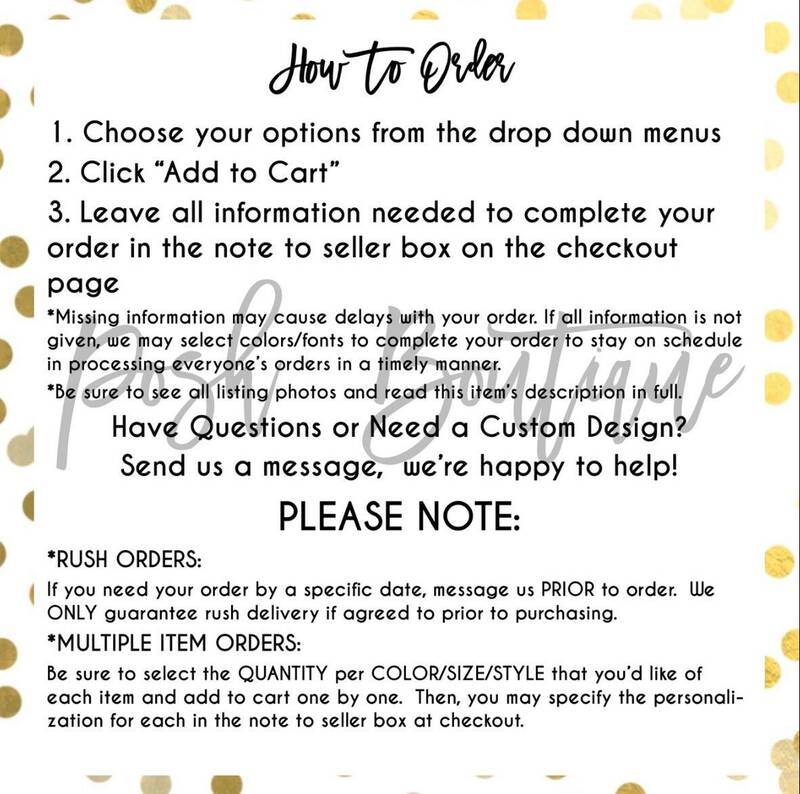 Shipping most likely will be much sooner, this is an approximate time frame.